For survival needs of any kind you can think of, food is a priority. You don’t last long without food and everyone understands that, but lets go a bit beyond the obvious and lets see how hunger affects people, even when you’re not the unfortunate person that can’t put food on the table. Food isn’t as plentiful, nor is it cheap. A friend staying home, he can drink all the water he wants, use a bed or couch, breathe all the air he wants, but food… another mouth to feed has an impact in your budget. Combine high unemployment with inflation, and after a while you have people that just can’t make it to the end of the month. There’s already a fair amount of unemployment in USA. You don’t want to know what its like when a) it doubles b) inflation triples the prices. That’s what happened here. I’m sure I’ve mentioned this before a couple times already, but one of the toughest things I’ve witnesses here after the crisis was people eating out of the trash. Its an image most of us have seen before, someone looking like a bum dumpster diving and munching on an old sandwich, but this is different. Up until then, I had never seen entire families sitting around an opened garbage bag as if it were a dinner table. Husband, wife and a couple little kids, all skinny, wearing well worn but clean clothes, minding their manners and talking softly among them while they eat from the black trash bag. When you see this being done by people that don’t look that different from your own family, man does that change the perspective. Its similar to watching starving children. Its one thing to watch a starving kid half way around the world, speaking a different language, wearing different clothes. You of course feel empathy but you still feel it far away from you, it’s distant. Even if just watching it on TV, if instead that skinny child looks just like the kid that lives across the street, wears a L.A. Lakers tshirt and cries out “I’m hungry!” in perfect English while being interviewed by a reporter, that feels just too damn close. That was what happened here and still happens, we sort of got used to it, and you can see people walk by hungry kids begging for food in the better off downtown district, ignoring them completely as if they were ghosts. You get used to seeing people beg, happens in every big city, but you just know when a skinny little kid is genuinely begging for food because he’s hungry. Can you blame those that hurry past them? Not really. I understand how hard it is to even look at them. “Soul-clenching” describes the feeling well. Even if hungry, you don’t give these kids money. You never know if there’s a grownup nearby working them. What I do if I can is buy them a sandwich and something to drink. In the Capital district there’s enough small stores to feed the office yuppies and cubicle slaves every 10 yards or so, so it just takes a minute. You don’t fix the world, but you do something good for a child that desperately needs it. Feeling systematically hungry is described as an awful sensation. The longest I’ve gone without eating was 3 days. Thankfully not because I was lacking anything, I just wanted to know how it felt. I stopped the little experiment because I was feeling dizzy and didn’t trust myself driving anymore. As hungry a it felt, I knowing I had a fridge full of food made all the difference in the world. People that go hungry for real can hardly think of anything else, its in your mind all the time. Diego Maradona is better known for his ability playing soccer but what I remember most about him is something he mentioned once about growing up in a poor family in the Bs. As. suburbs. He said that his mother and father would often lie at dinner time, saying they already ate somewhere else or that they weren’t feeling well. The truth was that they didn’t have enough food for all of them. Hunger has not only affected people that have lost it all like the people living in the streets, but also people that used to be poor/lower middle class before the crisis. We were once having dinner over at a friend’s house, there was some other people invited that I didn’t know. One woman kept complimenting the food, how good it was. When involved in conversation, she seemed to talk mostly about food as well. I’ve read that people involved in disasters or war often talk about the food they’d like to eat, watch pictures of it in magazines and imagine themselves eating it. My grandmother lived though the Spanish civil war. She told me she would stare into the bakery store’s displays from the sidewalk and wish she could eat what she saw. They were farmers but farming alone doesn’t provide the plethora of food some people seem to believe, specially not during hard times such as recessions or like in my grandmother’s case, civil war. After we ate, the woman timidly asked the house owners if they minded if she took the leftovers. They of course said yes, there’s not much doubt between feeding the leftovers to the dog or giving them to a friend that just asked for them. When its because of a disaster, natural or man-made, you can at least tell yourself that its not your fault, your dignity is spared. When it’s because of poverty, you have to add to the hunger the humiliation of not being able to provide for your family and yourself, and this may well be the worst part. You can’t provide for them, yet others can. It’s a cruel example of “survival of the fittest” but this is what happens when the economic bar for poor/middle class/rich is set up higher and some people just don’t make it. While starving to death is extreme and only happens in fewer numbers, going hungry affects millions. Its estimated that 9 million children are hungry in Argentina. For most of them, the school provides the only meal they will eat that day. For dinner they have tea or mate, go to bed feeling hungry urging for the next day’s meal. Even among the middle class, lots of things have changed. In a nation well known for its beef, few people can routinely buy beef. Fish has always been terribly expensive and its not getting any better since the president owns the fishing business. Chicken used to be fairly cheap but not any more, and pork is slowly getting more and more expensive. Argentines in general eat 19% less meat than last year, mostly due to the 75% increase in price during the same period. Because of the crisis and the political measures taken by the leftists running the country, a small handful starve to death each day, millions go hungry and even more have had to change their food habits, buying more affordable products, often of less quality. You can see this all day at the supermarkets. What impresses me the most is old people buying bags of bones which used to be sold for dogs, they buy these to make stews, scrap any meat or fat they may have left. These are some of the things I’ve noticed. Some are more dramatic than others but there’s no doubt that food is terribly important. My objective here was to put a face to the food issue, why its important and how it may change your life if you don’t take it seriously. The post from our friend in Portugal reminded me of air rifles. Air rifles aren’t toys, they are indeed weapons that keep getting better and better as time goes by. This is something I was considering buying while visiting USA but eventually didn’t because of time, lack of space and avoiding possible hassle with the airport security. The prices in USA are usually ¼ of what we pay here, that’s why I was tempted to get one when visiting. I currently have an old break barrel Mahely .22 that has dispatched countless birds and pests, the old gun is pretty beaten esthetically but still works, a clear example of how durable airguns can be when you get good ones. I also had a Daisy Powerline Co2 pistol. Mostly for plinking, but killed a big fat dove with it once. I didn’t expect to do much damage with it but it was dead right there. Currently I like the Crossman line, I think its great value. The Crossman C11 costs 38.28 bucks, has excellent reviews and shoots 80 feet/second faster than the Daisy. Air pistols can take care of pests and kill small critters but they are mostly fun guns given the inherent defensive nature of the handgun and the lack of power Co2 has to fulfill that role. Air rifles on the other hand are more useful for small game hunting and pest killing given that they are more accurate and more powerful. The Crosman 760 Pump master Variable Pump shots both BBs and pellets at a very respectable 600fps. For 36 dollars this a pretty versatile air gun. For a more dedicated small game getter, I’d want a speed of 1000 fps or more. Break barrel's are of course single shots, but those speeds make it an effective one. One thing I also like about single shot topbreak air guns is that they are tough as nails. 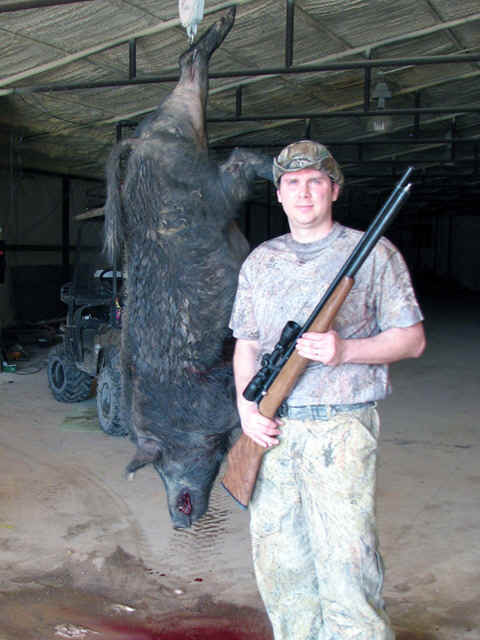 Then you have the big bore air guns. .30, .45 and .50 . Most people just don’t know that you can kill bear with an air gun. The prices here are much higher and you spend as much as you would in a firearm. They need a scuba tank or compressor for refilling and because of that its not as rugged and practical as say, a nice 1200 fps air gun in .17 or .22 but if you have big game in mind this is what you need. Oh! That's so good. The guy using cash is like a fool, even looks like a dork. Notice he also has just a few bucks, so its implied that he's a poor dork at that, someone you wouldn't want to identify yourself with. The older man waiting on line looks at him the wrong way. You wont want that happening to you. But the pearl is when it says "faster money" in the ending, as if digital information was actual money. In the average mass population it reads as …”oh… its still money… but faster…oh…” Lovely how they manipulate people. Our government likes electronic everything because they can make money out of thin air. If that money were in circulation inflation would have been out of control a long time ago. It's just a way of hiding the truth for a lot longer then a cash nation. Indeed, heck they don’t even have to bother printing it. As long as everyone thinks that a number in a computer means wealth they’re ok. After the crisis the government did a 5% tax return on everything bought using plastic. They were desperate both to promote commerce, but specially to stop people from using cash. Most people saw it for what it was and even more stores started accepting cash only. The intercom rang and after verifying that it was my car I grabbed my range bag and hurried outside. It was 6PM and already kind of late for my Firearm Instructor class. While the class officially starts at 6.30 PM and I would easily get there on time, I would be missing the coffee before the class officially starts. A group of ten people training to become firearms instructors, you don’t want to miss the conversations which are in average better than the gun shop talks. These guys are either cops or other people that for some reason have armed themselves, and have taken a step further than just buying the weapon and handling it safely, most of us have had a decent amount of defensive shooting training. In a country where running into trouble is just a matter of time, and with a leftist government just waiting for gun users to make the slightest mistake so they can throw you in jail, the instructor’s class is a group of interesting people indeed. We all know how to shoot, but none of us has Rambo or Jan Claude Van Dam’s universal soldier delirium. Those that own firearms here will indeed find the opportunity to use them if that’s what they are looking for hard enough, but most often than not end up in jail for murder or excess of legitimate self defense (whatever that means). So we’re all nice, level headed types. We all know how to shoot for self defense, most of us have had some close to very close encounter of the “give me your wallet/car” type, some have killed defending their lives, all of us have come very close to doing so. The Federal shooting club is located in the part of town rarely depicted in postcards of Argentina. Mostly surrounded by “villa”, settlements and shanty towns, the Federal shooting club is a group of small buildings in the middle of an open filed, several hectares that used to belong to Fabricaciones Miliatares. Now it’s the rare oasis where conservative gun enthusiasts gather, people now considered dangerous by our own government and the new liberal generation. Just when the club started to close we start with our class, first shooting and then theory, a small group of dangerous people inside a small room in the middle of darkness. I hurried into the Remis car and close the door. The Remis is our version of Taxi, ordinary looking cars with a person that drives you around for a few bucks. Remises are cheaper than Taxis, and they boomed after 2001 when people simply didn’t have any other job. The job is still one of the worst paid ones yet one of the most dangerous: you never know who’s getting into your car… or who’s waiting for you at the destination point. A few blocks later the Remisero (remis driver) does what they usually do: he starts talking. “No, I worked for Fabricaciones Militares, but in the district of Avellaneda. We made bars of copper, wire, we did galvanized sheet metal. Very good quality, it would bend but go back to its original form. Its closed now of course. When they closed and transferred us to the new facility in front of the shooting club, I decided I didn’t want to work so far away from home, so I went to the factory right in front and got a job there that same day. It was easy to find work in those days.”. A very common joke around here, I said. “Hey, but we’re doing better than ever now, Ms. President says so”. I hear bitterness in the man’s voice “Yes, right, that b”&!%, she’s got some nerve. You know what, that was my first job. I had just turned 19, and started working there.” The man’s voice brightens up some, sounds more cheerful, remembering better times “At the end of the month I had earned 36.000 pesos! My first salary. You know what I did with that money? I went to a car dealership and bought my first car. A brand new Fiat 600”. I said “man, must have been nice. Today you’d need a year’s worth of salary to buy even a used one”. “You wish. Certainly not with the kind of money I’m making” he replied. “That was back in 1973. We worked until 11 AM, took a 15 minute break to drink coffee and eat a few sandwiches. Then at 1PM we took a break for lunch. The company’s diner was terrific. With the equivalent of what today would be one single peso you ate like a king, as much as you wanted. Then back to work until 6PM”. We reached the entrance of the shooting club, there was only darkness past the main entrance. I told him not to worry, to drive inside. The dangerous men were already walking towards the shooting range. I missed the coffee talk, but I got to listen to a piece of this country’s history, or at least a side of it that you don’t hear about on the main media. This is a comment made in a post about the use of cash in USA. Jada said... With regards to making the use of cash seem out of date, there's a commercial here that one of the banks is running, promoting the use of their VISA debit card. It shows this huge line of customers filing through the register at a coffee shop, everything running smoothly and efficiently, until one poor schmuck steps up to the register and tries to pay with cash. Suddenly, everything comes to a grinding halt! Coffee crashes to the ground! People run into each other! Oh the horror, someone used CASH! Everyone in the line glares at him in disgust as he pays for his purchase with cash, and of course the minute he's gone, everything runs smoothly again as no one else would be so silly as to use cash. Yep, they're making it not only inconvenient, but almost shameful to pay with cash now. That's insane! But now that you mention it that's how they made me feel when I used cash in most places. I wonder, what else would people use if the network goes down or if there's no power for long periods of time? When our economy collapsed, it was months before credit and debit cards were used again. Even today, 10 years later, most small stores dont accept it and gas stations, most of them have signs that say "cash only". As you well said, the subliminal message is that you should be ashamed of using cash. The big companies dont want you using cash, which makes people more aware of how much they spend. Not to mention, that way they know what you bought, where, at what time. much easier to track people and do a citizen's profile, both for marketing and use by any government agency that needs it. On all of the boxes and packages of instant mashed potatoes I see at the grocery store, the expiration date is only a year or so out? Is this an item that stores longer than the package indicates, or am I looking at the wrong type? Thanks for your email Burt. Sometimes food has an expiration date for stocking and rotation purposes and it doesn't reflect accurately how long a food product can last. You see it in salt, sugar, and honey, products that easily have decades worth of shelf life. Other products such as canned goods can often be eaten years after their expiration date as long as the can isn't leaking or swollen. In my book, “The Modern Survival Manual: Surviving the Economic Collape” , I describe a few easy to find food products, available in pretty much any supermarket around the world, that are good options for the survivalist that doesn’t have fancy survival food available. While a few MRE and specialty food for emergencies last a long time and taste pretty good, it does get expensive if you only stock up on those. Its better if you have a few staples for bulk, and sprinkle the menu with a few of those other ready meals so as to have some variety and not get bored. One of these commonly available food products that I recommend is indeed instant mashed potatos. The dehydrated flakes look almost like paper and they infact last well beyond their expiration date as long as they are kept in a dry sealed package away from bugs. Potatoes are ones of the basic food staples around the world. A lightweight package that stores almost indefinitely and just needs water? Priceless. Rotate every couple years, but its good to know that they may as well last decades if stored properly. Note that this applies to dehydrated mashed potatos alone. Often you will find many brands that add other ingredients to the instant mix to make it more tasty, usually milk poweder, butter and herbs. This will reduce the shelf life so keep that in mind and check the ingredients. If you buy bulk and plan for long term storage you might want to store them inside food-grade plastic buckets lined with Mylar bags. Fill the bucket, drop a few oxygen absorbers and seal the Mylar bag with a hot iron. 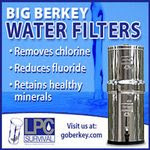 This removes the oxygen and is one of the best methods to keep food stored for long periods of time. Some comercial products like this bucket contain a vairety of food stored, these compliment nicely the staples you may store. Sometimes the original instant mashed potatoes packaging is already pretty good and there’s no need for this, just leave it sealed, in a box where the packaging wont be damaged. I like the aluminum lined packages ( used sometimes in tuna pouches). Plastic foils like these will keep the instant mashed potatoes good for years beyond its expiration date. I have being following your blog (and others) for one or two years now, just collecting information about preper and survival stuff. I guess I´m pretty new to the subject. But I have to say that your perspective about the subject of reality (society, economy, safety, your standard day-to-day life, etc) collapse is, for me, more real than other stuff I´ve been seeing. I never forget you telling that wen economy collapse, you kiss your wife and go to work the next morning. A lot of things you say make sense to me. Hi again, my name is Joao, I am a designer and a teacher and live in Lisbon, Portugal. I live in a nice rent house with my wife and two baby daughters. I start seeking for information after the Haiti and Chile's earthquakes. Two hundred years ago Lisbon suffer a huge 9.5 quake that literally wipe out the city. Yes, two hundred years is big time, but there is something of a repetitive pattern among quakes, I guess... you never know. But I got thinking that if something like that happen again I didn't know what to do. So I start looking for information that would help me, just in case. I don't know what kind of mail this is, but I just want to give you my support, and tell you if this small country goes down the pipe like all hods point to, your blog have made a difference! at least to me and my family. You give a realistic approach to a scenario that tends to be very real. now I have a "technical" question: how was gun laws in Argentina before the collapse? here in Portugal laws are very strict, and you have two ways to deal with it if you want a gun for protection 1- you go through and incredible bureaucratic process until you give up, or until they say your not very qualified to have a gun (been there, give up), 2- you go to the black market and you buy whatever your money can buy. I really don't want to go under the law so... no guns for protection. How you dealt with this subject? if you don't have access to a gun to protect your house, how can you build a defense system properly? more than the technical question I want to send you my support, and hope that you and your family, your daughter specially, go trough this times of pain safe! sorry about the english, I tried my best! Thanks for the nice words, I’m glad you find my blog useful. About your question, Argentina is probably still one of the best countries in Latin America in terms of gun laws. After the 2001 crisis the Leftist took control and are pretty “communist” minded about gun laws. According to them civilians shouldn’t be allowed to own firearms. Typical authoritarian BS. You can own pistols, shotguns and rifles, but no semi auto rifles bigger than 22LR with detachable magazines. Here, you have to go through a lengthy bureaucratic process as well, but I did it all so as to get my gun user license. Joao, my advice is to do everything you can to get a weapon. It is indeed a priority and I wouldn’t insist on it if I didn’t believe it. Do every bureaucratic set but make sure you have some sort of firearm, even if its simply a double barrel shotgun. A handgun would better but at least some sort of firearm is better than none at all. In most countries shotguns aren’t that hard to get because of their use in sporting and hunting. Specially if you worry about earthquakes, self defense is of particular importance. My cousin lives in Chile, she was there with her family during the quake. Expect people to become desperate very fast, specially because they don’t have water and will go nuts soon. You bug out bag should include a solar charger for your cellphone, a spare battery is your cell phone admits removable batteries. 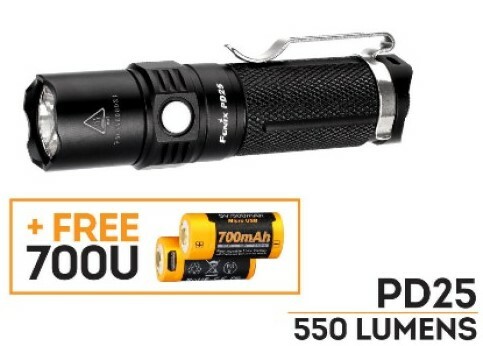 A couple led flashlights (that use a single battery) and about 20 spare batteries. At least one of the lights should use commonly available batteries such as AA or AAA. In your pack include a spare set of clothes, food ready to eat, a sleeping bag for each family member an tent, and most of all at least a couple liters of water per person ready to go. You want copies of your documents, contact phone numbers and some cash (think a month’s worth of groceries worth of cash) This should be the minimum content for a BOB designed for an area where earthquakes are top priorities. Don’t forget the firearm, keep it close and ready. If you can keep a dedicated firearm for your BOB attacked to it with at least 50 shells. In Chile there was a lot of looting and vandalism, being armed became of extreme importance. Again, do not underestimate this. If you can't get one or in the meantime, get a big butcher knife, bayonet or machete, but its a distant second best choice to a firearm. Sounds like you have a good plane worked out. A secondary location in another city not that far away would be of great importance. Consider friends or relatives. PS-Check the Earthquakes tab on the left column, scrolling down, for more information. Even though by definition the ultimate objective is living, when we talk about urban survival we aspire to a minimum amount of freedom and dignity in our lives. Living as a prisoner, slave or in a cardboard box under a bridge and cleaning windshields for a living is still living, but alas, its certainly not the life quality we want. Its about maintaining the minimum standard of living we need so as to not go nuts. None the less, I though it would be interesting to notice what actually gets you killed after an economic collapse. I think it’s an interesting exercise and it also helps reevaluate our priorities from a more realistic perspective. For this I used some statistics after the 2001 Argentine crisis. Its not an exact science, but it does put together an interesting picture. Rioting and social unrest: It may come as a surprise for some, but these are by far the ones that kills the less amount for people when these things happen. In our case it was 32 to 38 people across the entire country. About the same amount still dies per week in Buenos Aires suburbs alone during armed robberies and other crimes. Already in our first stop, we destroy a popular survivalist myth: When a country collapses, hordes will run wild burning every single building to the ground in every mayor city. The idea that bugging out should be some sort of standard procedure when there’s social unrest is simply flawed. The preconceived notion that somehow made it from Hollywood to the real world, that the population can go down by significant amounts in a matter of days with millions dieing is not realistic at all. My dear friends, that only happens in fiction books and movies. It happens to be good entertainment but don’t take it any other way. Hunger: As of Match 2010, 2.920 kids starve to death in Argentina per year. (source: http://www.elmundo.es/america/2010/03/28/argentina/1269793765.html) That’s children alone and you could easily add another 50% for adults and seniors. Older people have it pretty tough here since most pensions and retirement programs (recently “nationalized”) place the old folks BELOW the poverty line. This means, its not enough to even classify as poor. They can’t buy the minimum calories required per day to survive and the medicine they often need. Lucky for the government, an old person dieing of malnutrition isn’t as obvious or as unnerving as seeing a healthy little boy or girl become a bag of bones. Poverty deaths due to poor healthcare: According to UNICEF, 25 children under the age of 1 die per dau in Argentina of preventable causes such as poor treatment of illnesses that could have been cured, untreated infections, respiratory problems and low weight. If we substract the 8 kids that starve to death each day which we analized earlier, we realize that roughly 17 kids die per day simply because they can’t afford better than free public health care. I pay dearly for my private health plan, but do so gladly knowing fully well what public hospitals have to offer. As a side note, this should be a good example of how well government owned pubic health works. Poverty deaths due to crime and location: Not all districts are the same. When you see the map of insecurity (these are only the crimes reported to this website http://www.mapadelainseguridad.com/) you see a clear difference between districts. Crime may be 10 times worse depending on if you live in a good or bad neighborhood. Stress and heart related problems: And we reach the number one cause of death, directly linked to the crisis. According to studies done by the Favaloro Foundation and the University of Massachusetts, from April 1999 and December 2002, there were 20.000 more deaths due to coronary illnesses than the previous averages. 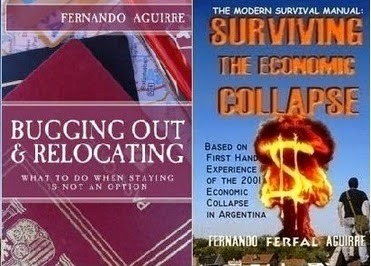 How do you stop an Economic Crisis from killing you and your family? 1) Watch your back and look out for criminals. Avoid taking unnecessary risks going out late, going to the ATM when there’s little people on the streets. 2) Careful when driving and pay particular attention when crossing the street. Even when on the sidewalk or the side of the road, listen to car engines rushing your way: You never know when a drunk driver will go up to the sidewalk, even crash into buildings and stores. I’ve seen it happen enough times. 3) Work our two or preferably three times a week. Have a hobby, learn to relax. Go camping, have fun within your means. At least an hour per day, you should do some activity that helps you unwind. Thanks so much for your book/blog. Every time I read it I find something new & interesting to help me prepare for the coming storm. That said, I have been looking at getting a semi-auto rifle in 7.62 NATO/.308 Winchester. This will be my first one, and I am a poor college student. I know you like FAL's particularly, as do many other people. As I have been looking at which rifle to get I came across the Saiga .308, which is an AK-47 variant chambered for 7.62 NATO/.308 Winchester. The stock version of the Saiga is sold in the US in a sporting configuration (i.e., traditional wooden rifle stock without pistol grip and low capacity mags). They are relatively easy to convert back to the standard AK configuration, however, with aftermarket parts and minimal gunsmithing. As I have been researching which of the two to choose I have come to the conclusion that the FAL is probably a nicer weapon, but that it requires a little more care and is more expensive. The Saiga is cheaper and probably more abuse tolerant owing to its AK-47 heritage. Spare parts are probably a little harder to come by as it is not as widespread a weapon as the FAL. In an ideal world, I would probably go with the FAL, but I'm poor (as mentioned earlier) and am trying to take care of other preparations as well (such as having adequate food storage, first aid supplies, etc.). For someone on a limited budget, do you think the Saiga would be a good alternative? You can get a Yugoslavian underfolder and a bunch of magazines for less than 500 dollars. (400 if you go for a Romanian WASR) The weapon is as rugged as it gets, accurate enough for self defense ranges, and the 7.62x39 mm ammo is much cheaper than 308W. Its not as powerful but its still .30 caliber and you will be able to purchase more of it both for training and keeping stocked. If I were you, no doubt that’s what I would get. About the Saiga, as I was saying before, I’d rather go with the AK47. For the person that wants to be well armed, a semi auto rifle is necessary to complete the firearm toolbox. While self defense situations are considered pretty rare, the truth is that with crime as bad as the one we have here, sooner or later you end up needing to defend yourself. Gladly, if the training is combined with a good dose of awareness, in most cases just having a firearm is enough. The NRA says that in violent encounters, 9 out of 10 times the mere presence of a firearm in the hands of the law abiding citizen is enough to send criminals on their way. I believe the statistic is pretty accurate. In one occasion I had a rifle with me just when I needed it. I wont get into any details, but fortunately no one got hurt. Lets just say bad people can be very reasonable and understandable when looking into a gun barrel. That’s reason enough to get a carry license and be armed at all times. 90% of the time you’ll have a handgun with you when you need it… IF you get a CCW license. The handgun is harder to shoot accurately, has less power and capacity, but its concealable and that means it will be with you when needed, and that makes all the difference in the world. Because of this, your training will mostly revolve around the weapon you’re most likely to have with you, your handgun. But what abut the rifle? When you need a weapon and you have the chance to get to it, the rifle is a force multiplier. You’ll use it when you have the choice. Agreed, in a small apartment I’d still pick a handgun because the longer weapon may be a disadvantage in tight quarters, but if you’re shooting people coming at you from the outside, the rifle will turn most cover into concealment. If you end up bugging out and going somewhere that is geographically difference, if you organize with your neighbors to provide security for your neighborhood after a disaster you will want your rifle. If you end up using it for hunting, its quite capable of killing most game in USA. You’ll want a few extra mags (say 10 minimum) ammo to load them and some sort of chest rig or shoulder pack to carry the spare ammo and gear. The situations in which you’ll need the rifle (and even less likely) actually HAVE it with you are rare. That doesn’t mean you shouldn’t get one. It is indeed a force multiplier when in the right hands. Thanks for all the info you share. My question is about inflation and how some things jumped in price. In particular I was wondering about ammo prices and the cost off a new car. I can do the math but was wondering what the actual jump in dollars was taking everything into consideration. The way hyperinflation works has a few similarities whenever it goes out of control. For imports (or products that require a minimum amount of imported materials to produce) the price stays the same as it does abroad in relation to the more important currencies that haven’t gone down the drain. In our case it was the dollar. Houses, cars, electronics, guns and ammo. It all stayed in dollars. Even today, in most cases those are priced in dollars. A new Glock costs 850 USD here. I’ve never since any gun store or shooter bother with how many pesos it is worth. Of course as the exchange rate changes you need more and more local currency to keep up, 1:3, 1:3.5 1:4 The exchange rate is the actual index of how poor your getting. Since prices (even in pesos) keep up with the dollar, the exchange rate gives you an idea of how poor the country and its population gets. Even for locally produced goods like meat, they are internationally priced as well because they can always be sold to Europe and other foreign markets. The peso goes up or down in relation to the US dollar? Local prices follow according. If something like this ever happens in US, of course the currency of comparison will be the Euro. No one cared about the European currency a couple years ago, but people sure took notice in October 2009 when it reached 1 Euro: 1.5 USD. As of right now the exchange is 1.27 which isn’t that bad. If it ever gets to 1:2 , know that it will soon go up to 1:3 or 1:4 as people rush to a safer currency. 1.5 was pretty bad for a country like USA. Regarding ammo prices, as I said before they are priced in dollars and local brands, even though priced in pesos, keep up to the dollar and then some. Ammo here is usually twice as expensive as in USA. Again that’s another number to keep in mind and go buy. No matter if its South America or Africa, a good index to somewhat guess the price to expect after an economic collapse is the price in foreign currency x 1.5 or some cases x2. This is because a) it has to be imported and usually the government going to hell tries to protect its industry with heavy taxation to imports b) Scarcity. Few people can pay expensive prices, so the product is somewhat scare. Hey, if you can pay for that you probably have money, so why not pay more?. This is why a Glock costs 850 bucks and ordinary cars costs easily twice as much as in USA. This means that maintaining the same lifstyle level will be more expensive in the collapsed country than in the one that didn't go down. How can this be explained? Most people wont be living up to those standards. Most people will be poor, and the elite left wont care much one way or another, the thin line in between will often leave the country or stay strugling. Because of all this, gold and silver are of particular interest to survivalists. Right now since we are already involved in a global crisis, gold price is affected also by both increased demand and the belief that its safe ground to stand in the future as well. Because of this silver is still a precious metal that protects your savings against devaluation but you’re not paying that much prime as you do with gold. Today I came across a very good article by Survival Mom. Her blog is a good example of the new generation of survivalists that prepare for things that happen, not crazy delusions of events that will most likely never take place. In it I found a link to an article on American Thinker, “An Argentina-like Economic Crisis”. The similarities between the measures taken in Argentina that had such disastrous consequences and the ones taken by the current U.S. administration keep surprising me. Don’t they read? Can’t they see that what they are doing HAS been done before and it didn’t work? I can only assume now that they know well enough that it wont work, they are just doing so to stay in power and make as much money as possible while they still can. As the crisis in USA keeps evolving, its time to get real folks. The household budget has to be reconsidered, the non essentials weighted and objectively reviewed. When you have 50% poor and 20% of the population below the poverty line, these things happen. Of the remaining 30%, 25% is a redefined middle class that closely resembles pre-2001 poor. That leaves 5% of the population that has managed to adapt, survive and maintain their old middle class or high class life standards. The disparity is huge, and the political stance is that poor=good, guy with money=bad. There’s always someone that has to take the blame, and its a rare occasion when those that are truly guilty are held responsible for what they’ve done. Its not a time to panic but a time to sit down for a second and understand where things are going. Its not going to be the end of the world but they are going to be tough times. Very few people will sail through this without being affected. 1) Ensure the basics to survive a worst case scenario as well as intermediate ones. This means have at the very least a couple months worth of food and two weeks worth of water (a gallon per person per day, minimum) As finances allow, work up that food stockpile (preferably canned, long shelf life food and easy to cook or that requires no cooking) Make sure you have the basic for a survival/emergency kit. This has been discussed in this blog more than enough, just check the “gear” tab on the lower left column. Among the top of your priorities, make sure you have at the very least one big bore handgun for self defense and the basic training to at the very least handle it safely, the minimums being 9mm for pistol and 38 special/357 magnum for revolver as well as two 50-round boxes of defensive JHP ammunition. Everyone runs to the gunstore when they see the hordes looting, and its usually too late to do you any good. I’ve seen it before, after our economy collapsed in 2001. Its usually too later to wish for a fire extinguisher that you don’t have when you’re in a burning building! Same thing with a gun. Before buying yet another gun, I'd get at least one piece of body armor. Even if its cheaper surplus, when the chips are down wearing armor will do you 1000x good than an extra gun in the safe. Its only during good, safe times that having 30 firearms and not a single piece of armor makes any sense at all. Often when law abbiding citizens end up shooting someone, they do it against an armed bad guy. Expect to get some lead yourself for your efforts. Do lots of research and just buy what you need. If I write 20 posts about knives, 30 about flashlights and 10 about fire starters, its not because you need every single thing I review, its just so that you can make an informed decision when buying one, one that fits you circumstances and budget the best. Be an adult about this and only buy what you need. 2) Redo your budget. Power bill, rent or taxes and other fixed monthly expenses + food+ medical insurance+ gas. Internet may or may not be needed depending on your line of work. These days it usually is. Check your cell phone plan. Are you paying for a phone that isn’t getting much use? Millions get by with pre paid ones, only use texting and only use the actual phone when absolutely needed. Add a small amount for entertainment, the amount will depend on your financial situation of course. To that, ad another 20% that will cover unexpected events (car accidents, fridge that just died ). That’s your monthly budget. Now you start and Excel spreadsheet and write down every expense you make per day, every night after supper. You wont believe how much money doing this will save. The spreadsheet will tell you if you’re doing ok and avoid nasty surprises at the end of the month. Try it for one month, you’ll see how well it works. 3) Make more money. This will be a key factor when inflation hits, and will be mandatory if you want to maintain any glimpse of the life quality standards you want for your family. Some jobs are more time consuming than others but most of the time either one parent (or adult kids) has a few extra hours to work with. Start a home business, something you enjoy and start with bare minimum expenses to begin with. Start taking clients for yourself if your line of work allows it. Give classes, this could be math, music, first aid, shooting, everyone has something he enjoys and is good at. Teaching can be done as little or as much as you want if you find a student that can work around your schedule, its just a matter of finding him. If nothing else, start by cleaning the house and selling all that extra amount of items you just don’t need. People throw away things that could be sold for a few 20 dollar bills every day. I’m 31 and still remember the time when we lived in USA, I must have been 3 years old. We had just moved to the company house and while driving around my father saw a 21 speed bicycle that was layed there with the trash. It only needed a new chain. I still remember the conversation my parents had: “ Are these people crazy? Throwing away something that could be so easily fixed?” My father had a top managing position in an importnat bank, we moved with all expenses taken care of and a nice salary. We sure did not need to pick anyone's trash. It simply didn't compute in his brain to allow sometihng that could be repaired to be thrown in a garbage truck. Still happens all the time in 1st world countries like US. That’s a line of work on its own right there, you’ll see none of that in Argentina or most South American countries. Its not the time to go nuts running scared, but it is a time to make a down to Earth evaluation of your personal situation and take action. I wanted to welcome our latest sponsor, Emergency Seed Bank. Its’ thanks to sponsors and readers that buy my book that I’m able to blog, continue writing, do research and get training, all things I not only enjoy doing, but I can also later share with my readers. If you offer survival or disaster preparedness related goods or services, consider advertising in “Surviving in Argentina” blog. 10 years later, our situation isn’t much better, in spite of what our benevolent dict... I mean madam president Cristina and her husband have to say. Below is an article from July 2010. Private consultants estimate that Argentina’s inflation in 2009 and in spite of the devalued government statistics was the third highest in the world behind the Democratic Republic of Congo and Venezuela. So, its pretty clear that Argentina is not something you want to imitate. At the same time, I must say as I often do, that lives goes on in spite of all this. Even if the worst outcome happens, life just goes on and you manage, you survive. But to do so better than the rest, you have to be prepared, in material terms but most important mentally speaking, and that’s where this blog will help you. How does that work? These articles above, those are numbers and statistics. Behind those there’s people, lives, stories. Those are the ones that help put together a picture of what to expect, and if you can learn from those, put yourself in that place, then you can learn without going through it first hand. The stories I share about crime, poverty and such, that’s their purpose. Because of this, I’ll start posting every once in a while stories of people and places, so as to put a face and a better picture to all these numbers and statistics that sometimes feel cold and abstract, but have very humane consequences. This is from last year but I find it interesting that a Nobel Economic science laureate, James Buchanan, sees similarities between what Obama is doing and what happened in Argentina. Lets hope he's wrong. Around here (were people are used to loosing their belonging) we often say that hope is the last thing you lose. I just ran across one very interesting book while cleaning and organizing my stuff. It’s a book by Penelope Ody called “Home Herbal”. I have a few others but the one by Penelope Ody is simple to understand, full of color pictures that explain things in detail. You really need no prior experience whatsoever to start making concoctions, oils and ointments using this book (yes, I did make a few). It basically explains what each plant and a few other home ingredients are capable of, its applications, and how to process them into home remedies. It even has some sort of herbal first aid kit for you to put together. This one is much more expensive, and while it titled "Complete Medical Herbal", its 192 pages long. The first one is cheaper and 144 pages long, so even though I dont own this one I'm not so sure its worth the difference. Also, this last one was published in 1993, while the first one, "Home Herbal" was published in 1995 so its bascially the latest edition. Again, I haven't read "Medical Herbal" but I do like "Home Herbal" very much, one of the few books that I consider must haves for the survival minded person's shelf.